Robert Wyse Jackson was described by Dean Robert MacCarthy in an appraisal, published in Search, in 2013, as ‘the last of the polymaths’. 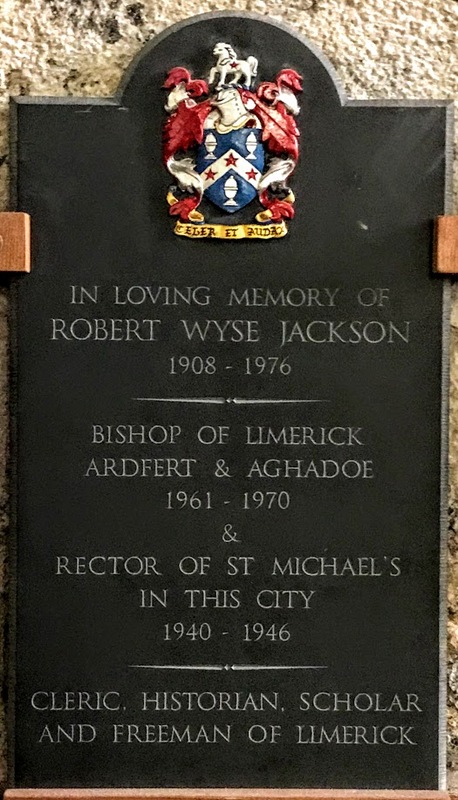 Wyse Jackson, born in Ireland but trained as a barrister in London and ordained in the Church of England, returned to Ireland in 1936 and served in the dioceses of Killaloe, Limerick and Cashel, before his election as Bishop of Limerick in 1961. He wrote widely, especially on church history, Irish silver and Jonathan Swift. His Scenes from Irish clerical life in the 17th and 18th century, published in 1961, has been produced in a new edition by the Ballinakella Press. Life in the Church of Ireland, 1600-1800 reproduces the text of the 1961 book with an introduction by Canon Patrick Comerford, and the welcome addition of an index and some of the bishop’s drawings.